This composite image from NASA’s NuSTAR and the European Southern Observatory shows the Sculptor galaxy, also known as NGC 253. The Sculptor galaxy is seen in a new light, in this composite image from NASA’s Nuclear Spectroscopic Telescope Array (NuSTAR) and the European Southern Observatory in Chile. Visible data from the European Space Observatory show the backbone of the galaxy made up of stars, while NuSTAR data, which appear as colored blobs, show high-energy X-rays. The NuSTAR observations are the sharpest ever taken of this galaxy in high-energy X-rays. 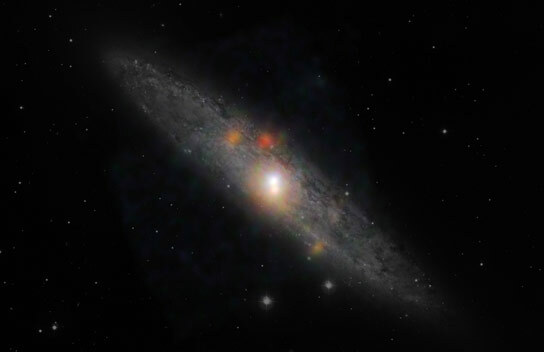 The findings, when combined with those from NASA’s Chandra X-ray Observatory, suggest that the supermassive black hole at the center of the Sculptor galaxy, also known as NGC 253, has dozed off, or gone inactive, sometime in the past decade. Future observations from both telescopes should help address this mystery. The NuSTAR data also reveals a flaring source of high-energy X-rays, called an ultraluminous X-ray source, or ULX. This object, which appears as a blue spot near the hotter, central region of the galaxy, is either a black hole or a dense, dead star, called a neutron star, feeding off a partner star. The flare is thought to be the result of a change in the object’s feeding patterns. 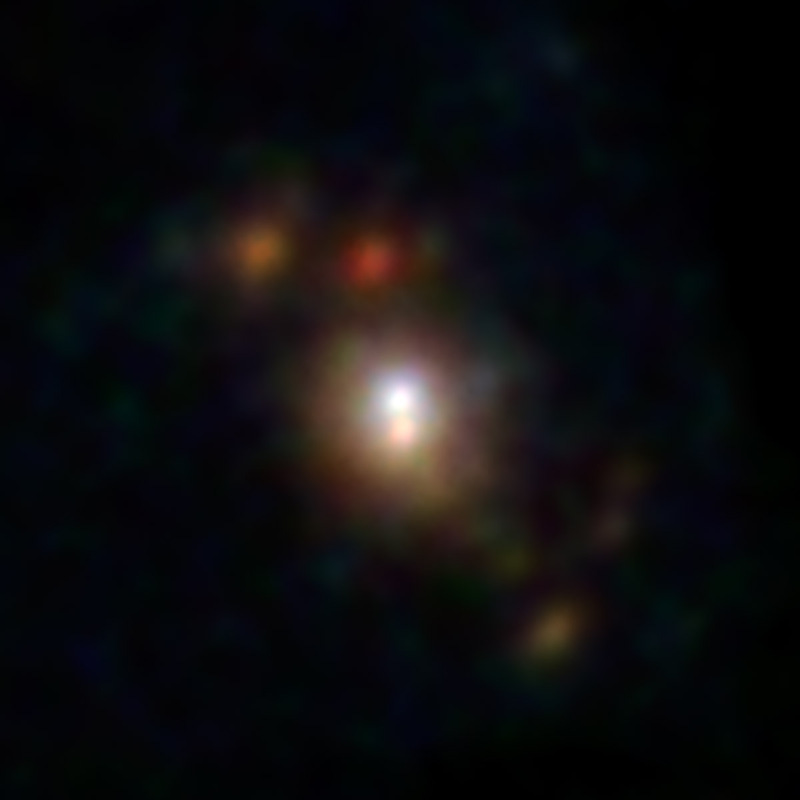 The other orange and reddish points are likely additional X-ray-generating pairs of stars located throughout the galaxy. In this image, red shows low-energy X-ray radiation (3 to 7 kiloelectron volts), green is medium energy (7 to 10 kiloelectron volts), and blue is high energy (10 to 20 kiloelectron volts). Be the first to comment on "NuSTAR and ESO Composite Image of the Sculptor Galaxy"